ILAM, Sept 14: In many cases, old government schools have been forced to shut down after being unable to sustain due to direct competition with newly established private schools. 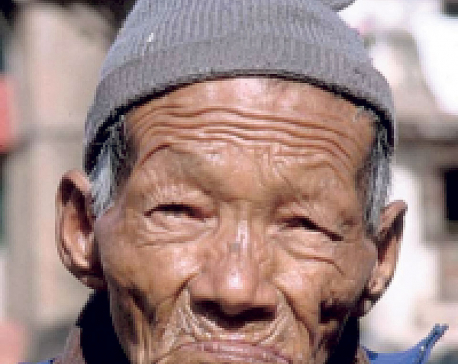 But there are many cases in Ilam district where the scenario is just opposite. Adarsha Higher Secondary School (HSS) in the district headquarters is one such example. The second oldest community school in the district closed its admission before the deadline as it enrolled 705 students in grade 11. “We received overwhelming response from the students. 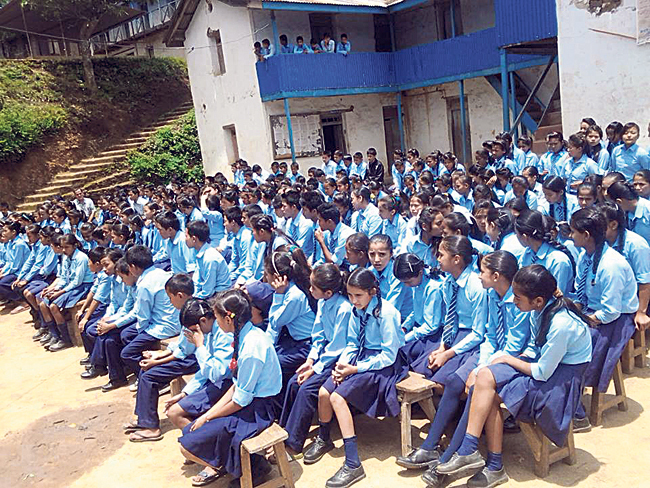 We are forced to prematurely close admission for some of our courses as all the seats are already occupied,” said Hem Raj Basnet, an official at the school. “This is the first time we had to close admission for Education and Humanities stream. Prior this, only Management stream used to be full,” he informed. The school started accepting application for admission for this academic year from July 17. So far, the school has accepted 198 students in Education stream, 213 students in Humanities stream, 199 students in Management, 62 students in Science, and 31 students in Information Technology stream. The college closed its admission on September 7, which is way too earlier than the actual admission deadline. “Students who applied for admissions early were enrolled. However, we had no choice other than to turn down applications of remaining applicants as our physical infrastructure cannot accommodate them,” added Basnet. Adarsha HSS has 374 students in grade six to ten. Higher education of grade 11 and 12 started in 2000 AD in the college. In the initial days, the college offered courses in Science stream only. Later, more streams including Information Technology, Humanities, and Management were added. As many as 208 students have opted for Population, 164 for Additional English, 145 for Additional Nepali, 66 for Rural Development, 72 for Basic Law, 89 for Sociology, 39 for Economics, and 90 for Physical Health Education subjects. “Even among these students, many had to opt for subjects other than what they had intended to enroll for. Physical Health Education garnered lots of interest from students. However, many could not opt for the subject due to limitation of specialized teacher of that subject in the district,” Basnet further added. According to the school, they have managed to stand out in the district headquarters due to a large array of subjects to choose from. “Students have a large number of subjects to choose from. They do not have to limit themselves in this college. That is our main attraction,” said Kumar Paudel, principal of the college. The fee structure for grade 11 in Science stream is Rs 875 per month, along with a one-time payment of Rs 10,175 as admission fee. Likewise, the school charges Rs 625 per month for Science students, with an addition to Rs 7,125 as admission fee. Fee structure for Education, Humanities, and Management is Rs 500 per month, with one-time admission fee of Rs 3,000, the college informed. One of the students who recently got admitted in the college also praised the fee structure. “Compared to other colleges, the fee structure in this college is very economical. And I have also heard that we get more exposure to extra-curricular activities in this college than other colleges around,” said the student. Paudel stated that they have to turn away about 200 students last academic year too. “We are very excited with the overwhelming number of students willing to study at the institution. Our seats have been taken and our classes are tight to the brim. We cannot accept even one more student this year,” he said. He was also quick to acknowledge that they have room for improvements. “Although we have science lab for Science related experiments, I think the lab could be managed better. We are working on it,” added the college principal. Adarsha HSS receives students from not just Ilam, but also from other hilly districts of Mechi zone. Students from Panchthar and Taplejung districts also have considerable presence at the college. And the school has provision of scholarship for 20 deserving students. Hostel facilities including food is provided free of costs for those students, according to Paudel. “All the students from Dalit communities get free education for one year. We also bear certain expenses on their book purchases,” he added. Established in 1946 as Padmodaya High School and now knows as Adarsha HSS, influential leaders like former Prime Minister KP Oli, former Speaker Subash Chandra Nembang, and Kul Bahadur Gurung of Nepali Congree had received education from this school.